It seems like we hear about at least one missing persons case every week. They either end up vanishing without a trace or becomes missing and never seen again. Of course, there are happy stories that end with the missing person being found and reunited with their families. But, there seems to be twice as many cases that remain unsolved. With so many cases being well known, many others occur without the public even knowing that anything has happened. These cases are very gripping and mysterious so lets get started. On 4/9/2009, 21 year old Alyssa McLemore became a missing person in Kent, WA. According to reports, Alyssa was identified in the downtown area of Kent standing next to a 90s model green pickup. At 9:15pm, a call was received by 911 presumably from Alyssa. The 911 operator stated that she heard a female needing help, but the phone was untraceable because of the lack of a GPS. The missing person case then went cold. 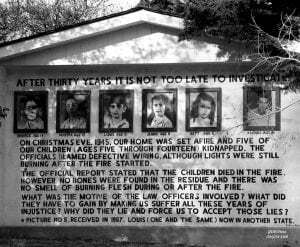 On 12/24/1945, five children went missing in Charleston, West Virginia. Louis Sodder, 9, Maurice Sodder, 14, Betty Sodder, 5, Jennie Sodder, 8 and Martha Sodder, 12. It was Christmas Eve, and their parents allowed them to stay up past their bed times while the rest of the family slept. Shortly past midnight, Mrs. Sodder noticed smoke in the home and realized that her home was engulfed in flames. Mr. and Mrs. Sodder immediately evacuated with their children, but noticed that the five were no where to be found. On December 30, 1999 tragedy struck in Welch, Oklahoma. Not only were there two missing persons, but the circumstances that surrounded their disappearances were also a mystery. The next day, the parents were found shot dead and covered up by a house fire. and the girls missing. Were the girls kidnapped? No matter what, the fact remains that the girls have never been heard from again. 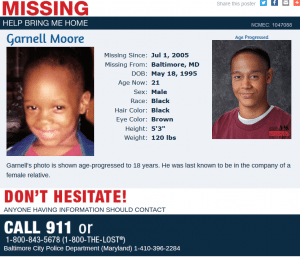 Garnell Moore was just 7 years old and living in a rough area of Baltimore with his aunt Belinda. He never went to school and had no social interaction. Because of this, Nobody had heard of him until now. 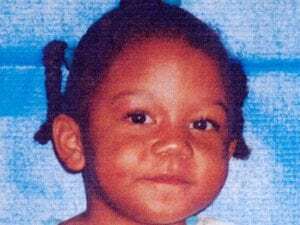 According to reports, Garnell was last seen in August of 2002 by his other aunt, Trina Morton. It wasn’t until 2005 that family realized that Garnell had vanished after his aunt Belinda lied about dropping him off at Social Services. 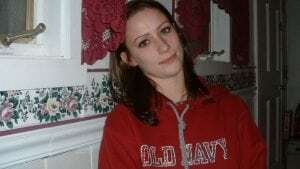 Brianna Maitland became a missing person on March 19, 2004. Brianna had finished working and headed towards home. Her car was located the next day sticking out of a barn which had been abandoned. It wasn’t until four days later that family and friends realized that she was missing. But the real tickler was the fact that the police never attempted to contact the car’s registered owner, Brianna’s mother or show any investigative work which could lead to Brianna being found. On Valentine’s Day in 2000, 9 year old Asha Degree vanished from her bed in Shelby, North Carolina. According to her family, she was seen and heard last in her bed. At 6:30am, she was discovered to not be in her bed. As authorities scoured the area, the only items found were a pair of khaki pants and some animal bones. Authorities then considered the matter to be criminal in nature even though no more evidence or a body has turned up. 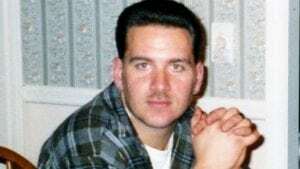 On June 13, 2001 Jason Jolkowski was on his way to work in Omaha, Nebraska when he simply vanished. According to a co-worker, plans were made to meet up with Jason so he could get to work. Jason was last seen at 10:45am leaving his home. Investigators discovered his belongings at home, except for his possible $60 and cellphone. He was considered shy and very close to family. Ever since that morning, no one has heard or seen from him. 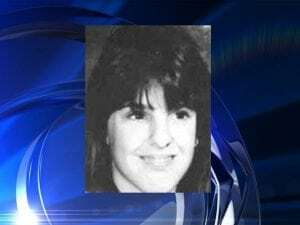 Theresa Bier was noticed to have been running away from something or someone on June 1, 1987 while on a camping trip in Fresno, California. 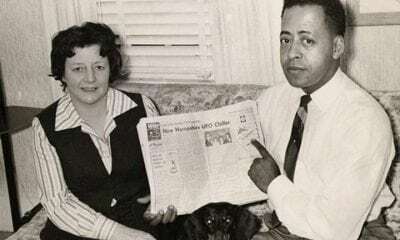 According to her companion Russell Welch, the pair was out hunting for Bigfoot. After authorities heard this they promptly charged him with child stealing. The prosecution then suddenly dropped the charges for fear of the double jeopardy law so if Theresa’s body was ever discovered, police could then charge him with murder and possible kidnapping. 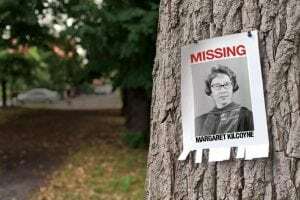 On January 26, 1980 Margaret Kilcoyne was discovered missing in Nantucket, Massachusetts. It was heard that Margaret had spent $900 in groceries and liquor then headed out to her vacation home with her brother. The following morning, her brother went to her room to see if she was preparing for church, like she requested, but she was gone. Then oddly, her summer sandals, passport, checkbook and $100 in her wallet suddenly appeared in an area which had been searched already. Her body has never been found. This strange disappearance occurred on January 2, 2000 in Asheville, North Carolina. Zebb met his co-worker, Robert Owens after work, to check out a car. Zebb then showed no interest in it after answering a page and left in a hurry. What happened next still has authorities baffled. Two weeks after Zebb’s mysterious disappearance, Zebb’s abandoned car was located in a restaurant parking lot. All that was found was a jacket, a hotel key and a puppy which weren’t his. Between October 1, 2003 and January 1, 2004, both Felipe Santos and Terrance Williams came into contact with sheriff’s deputy Steven Henry Calkin. Both encounters also ended with the disappearance of both men. The unclear part are the facts deputy Calkin gave concerning the encounters. He said he arrested both men, but then decided upon releasing them at a convenience store. These disappearances received national attention, which is why Al Sharpton and Tyler Perry have vowed to continue their search for them. Isabella Miller-Jenkins was born in 2002 to a lesbian couple via artificial insemination of Lisa Miller. 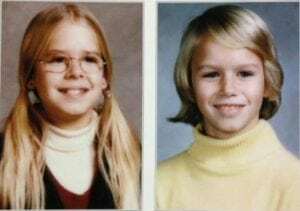 The following year, Lisa Miller and Janet Jenkins split and informal child visitation arrangements were agreed upon. An ensuing custody battle then started in the courts because of false claims of child abuse by Janet. Lisa was ultimately found to be in contempt and she lost custody of Isabella. Because of this, Lisa disappeared along with Isabella and both have never been seen since. 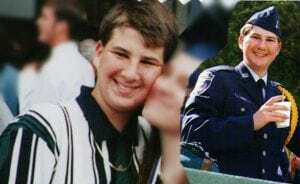 On June 13, 1994, Nicholas Barclay and his Friends were all playing baseball together. After they finished playing Nicholas called home to have his mother come get him. But since his mother was asleep, his brother didn’t bother to wake her. This would be the last time he would be seen and heard from. The mystery of Nicholas Barclay still baffles family and authorities. To this day, no new evidence or remains have surfaced concerning the whereabouts of Nicholas Barclay. During a July 4th party in 1999, Brooke Henson’s parents returned home to find out that her and her boyfriend had a fight and let her parents know she was going to go get more cigarettes. She never returned home. The reality of finding Brooke was quickly shattered when it was discovered that an identity theft had taken place. Authorities caught up to the identity thief but she fled after being asked for a DNA sample,thus making the case unsolved still. 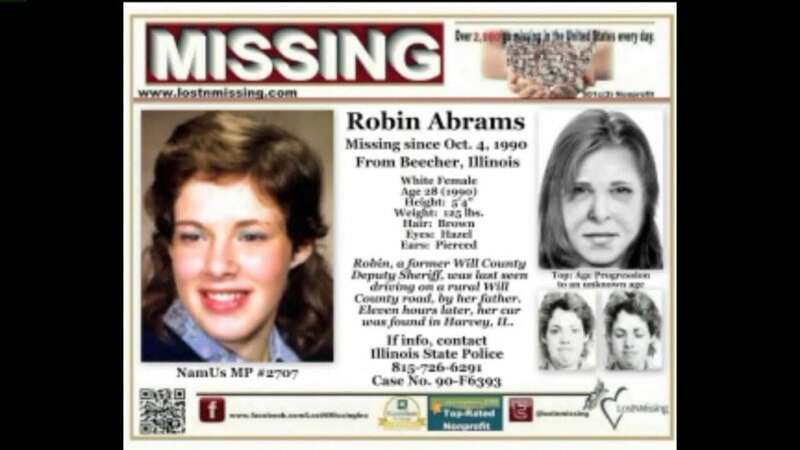 Robin Abrams, a 28-year-old sheriff’s department employee from Beecher, Illinois vanished prior to her submitting a legal deposition in October of 1990. 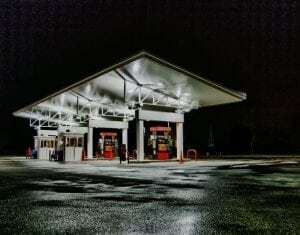 It was reported by eyewitnesses that her car was located in another town. Because of conflict of interest, the sheriff’s office had to turn the search over to the state to investigate. Court records showed the department had terminated her employment without cause which made her file a lawsuit for sexual harassment and wrongful termination. Abrams disappeared before she was able to testify. Hollywood turned this missing person’s case into a blockbuster film starring Angelina Jolie as Walter’s mother in the Changeling. It is reported that Walter was left home alone while his mom worked. But, when she got home, Walter was gone. A nationwide search immediately began and seemed successful after a young boy in Illinois resembled Walter but was later proven false. To this day, the case remains one of the longest cold cases in the Los Angeles Police Department’s history. The case of Rilya Wilson occurred after her and her siblings were removed from their mother’s custody in Florida. At the time of her removal and placement with her grandmother, the social workers were notorious for creating falsified visitations. Word of this got around and one day a person identified themselves as a state worker, took Rilya for an evaluation. This was never questioned until 2002 because family assumed Rilya was safely with her grandmother, but in reality Rilya never returned. 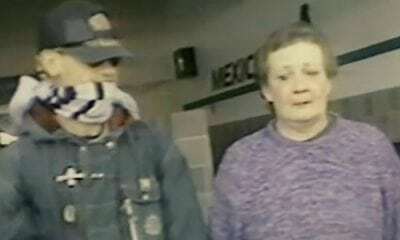 Helen Brach, the sole heir to the Brach candy company, became the subject of a missing person shortly after leaving a mayo clinic in Minnesota in 1977. It is no surprise that money was a major motive and included her driver who acted very suspiciously and her boyfriend, Richard Bailey. It was discovered that Brach had found out about the scamming. But Bailey maintained his innocence to this day. 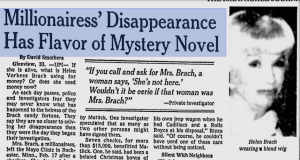 Regardless, not much was investigated further and Brach’s disappearance remains unsolved. Everybody hates to be stranded. But, that’s what Michael Rosenblum did to his girlfriend on Valentine’s Day in 1980. According to his girlfriend Lisa Sharer, Michael had left Lisa at a Pittsburgh gas station and told her he would be at her parent’s home that night. He never showed up. It wasn’t until 1992, that skull fragments were found which were identified as Michaels. Though, we now know Michael’s fate ended in tragedy, we are still left with unknown circumstances of his death. On September 10, 2001, no one knew what the fate of an Indian-American doctor named Sneha Anne Philip was. After originally missing on September 10 from NYC. Cameras captured her shopping and when Sneha’s husband noticed she wasn’t home, he thought she had gone to see family. Ever since Sept 11, her family has assumed she went to assist with the World Trade Center tragedy and because of that possibility, her family was able to have her officially declared a victim of the 9/11 attacks in 2008. The next day, Mary Rachel Trlica’s family received a letter which she had apparently wrote herself. The letter claimed that she and the other two girls decided on a trip to Houston and return in a week. The girls never returned despite what the letter had stated. Every parent dreads hearing the news that their child has been abducted or kidnapped. But, that is exactly what the Lyon sisters went through on March 25, 1975 in Wheaton, Maryland. After noticing that the girls never came home after shopping, the authorities were called. The family suddenly received a mysterious call almost two weeks later ordering a $10,000 ransom with a drop-off point, but when it came time for the pickup, nobody showed and the girls remained missing. 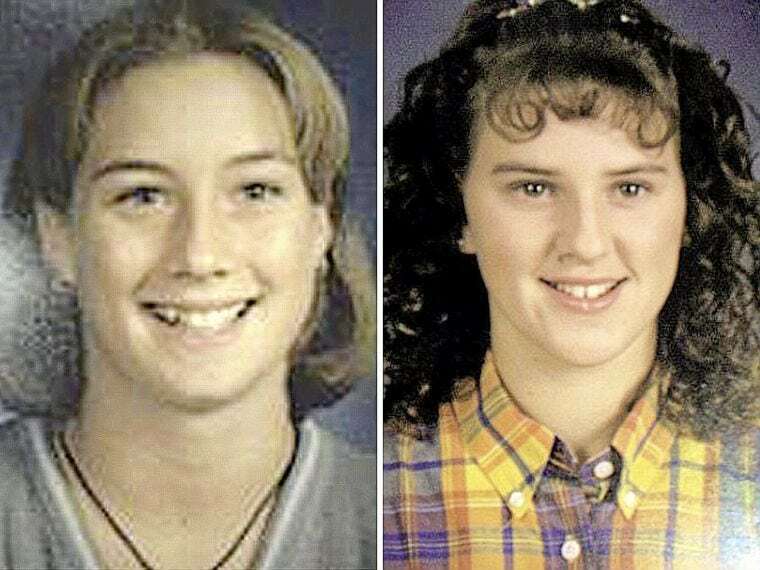 On June 7, 1992, three women vanished from a Springfield, Missouri home, Sherrill Levitt, Stacy McCall and Suzanne Streeter. Their vehicles, purses and everything else were right where they left them. With only a few leads, only a few were promising but revealed nothing conclusive. This includes a witness claiming to have seen Sherrill later the same day in a van and hearing a male telling her not to act stupid. But, with lack of evidence, the disappearances still remain a mystery today. On July 2, 1966, Patricia Blough, Ann Miller and Renee Bruhl headed out to visit Indiana Dunes State Park. It seemed like as soon as they arrived, all three had vanished. They were apparently seen at the lakes edge talking to an unknown individual before climbing into his white boat. 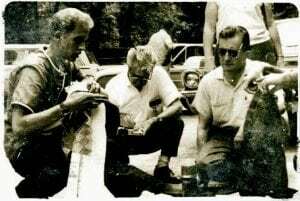 Many theories became possible including mafia involvement and a possible murder plot, but none of them were ever proven to be true. 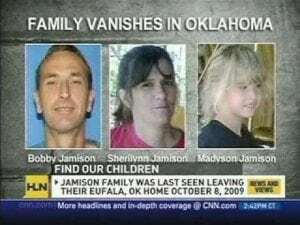 On October 8, 2009, the Jamison family disappeared from a rural area in Oklahoma. 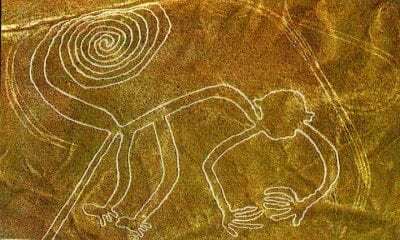 According to friends, they had planned to go look at some land. Their abandoned pickup was locked and contained all of their personal belongings. According to close sources, financial hardships had hit the family as well as odd behaviors. Authorities found no foul play, so it was highly speculated that the Jamison family had willingly disappeared. Because of the circumstances surrounding them, their case continues to baffle authorities. Keep reading, more missing persons await you on the Next Page. On February 4, 2010, the McStay family became the central focus in regards to weird disappearances. According to security footage, they were spotted leaving their home in their vehicle and four days later their vehicle was located a few blocks away from the Mexican border at a strip mall. Then, in November, 2013 a motorcyclist found four skeletal remains outside of Victorville, Ca. Dental records and DNA samples confirmed the bodies of the McStay family. Turning the case into a homicide. 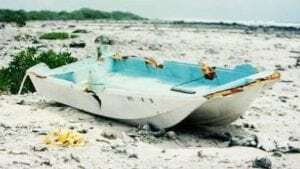 On February 19, 1979, Ralph Malaiakini, Benjamin Kalama, Patrick Woesner and Scott Moorman all climbed aboard the “Sarah Joe” for a day of good fishing. A couple of hours later they all disappeared following a storm. During the search for the fisher men, a shallow, unmarked grave was found that contained Scott Moorman’s remains. This was the only evidence of the five men. This is truly a mystery that seems to have been buried. On the night of September 4, 1978, Margaret Fandel along with her two children, Scott and Amy, had dinner together in the Alaskan city of Sterling. When they finished, Margaret dropped her kids off at home, and went back to town and returned home. It wasn’t until the following morning that she noticed them missing. The children simply vanished with absolutely no evidence to conclude any other theory. After 35 years of being gone, there is still no trace of them. 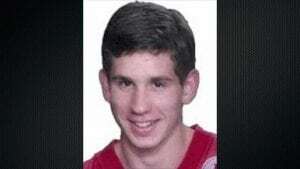 Billy Smolinski’s case began on August 24, 2004 in Waterbury, Connecticut. He was of average height and weight and was just 31 when he disappeared. With Billy’s disappearance being completely out of character, family and friends have continued to be baffled by it. Among all of the possibilities, it was considered that he just wanted to leave. No matter what, the fact still remains the same. He is a missing person and continues to be one until any new evidence shows otherwise. 6. Where Did You Go Joan? 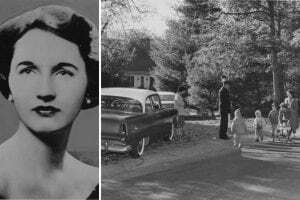 Joan Risch seemed to have done a vanishing act in 1961 while living in Lincoln, Massachusetts. That is exactly what occurred. All of the evidence suggested abduction. Later on in the day, eyewitnesses claimed to see Joan walking on Route 128. Could it have been that Joan was tired of living a domestic life and made it appear like she had disappeared? If that is the case, then she has been successful at managing it and not to be discovered ever again. Go to the Next Page to see our remaining missing persons. 5. A.J. Breaux, Where Are You? When you are a well-liked citizen, it is hard not to notice the person. That is what A.J. Breaux became in 1991. He turned his life around from alcohol and had no problem of putting others ahead of himself. But after purchasing milk at a convenience store he vanished. Ten days later, his abandoned car was discovered with all of his belongings and money inside. A.J. was spotted several times with suspicious individuals making authorities think that he was abducted. 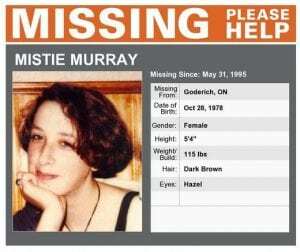 After telling her parents a lie about band practice on May 31, 1995, it was discovered that Mistie never returned home. Mistie discovered her biological mother, and it was speculated that Mistie had ran away with her natural mother. Then, 97 eyewitnesses saw Mistie all throughout London and Toronto, Canada. Many mentioned that it looked like Mistie had gotten herself into prostitution and drugs and was seen leaving town with an unidentified man right after the public discovered that she was missing. 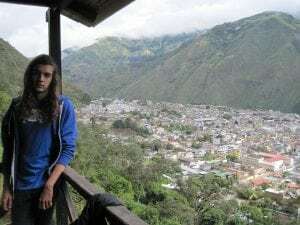 August Reiger made international news when his family decided to take a trip to Ecuador in 2013 to celebrate his full-ride University scholarship to the University of Oklahoma. They went hiking to soak up the scenery. August told his parents that he would be at the summit waiting for them. When the family reached the summit, August had vanished. President Obama and Ecuador’s president, Rafael Correa showed support in finding August. But as of today, it has been over four years since August disappeared. 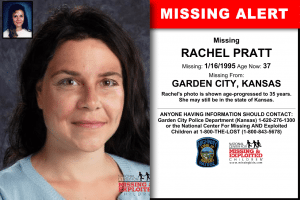 In 1995, Rachel Pratt was discovered missing by her parents after arriving home early in the morning of January 16. Rachel was having legal difficulties as well as being pregnant at 15 years old. But the case would get even weirder after Rachel was suddenly spotted. Five days after Rachel’s disappearance a few girls reportedly saw Rachel on a grocery store’s payphone with her boyfriend. After being turned down for a ride, Rachel went inside the store and was never seen again. 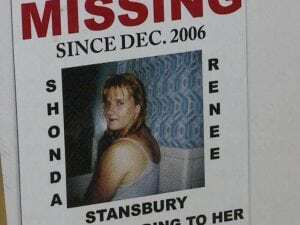 On Dec. 9, 2006, Shonda Stansbury was not considered a missing person at first. Police had believed that she just left on her own. Five days later, 911 was called from a woman who reportedly saw Shonda screaming and running away from two black men behind a supermarket. The police immediately did an entire sweep of the area including the woods. Police turned up nothing and the caller’s story could never be corroborated. Because of this, Shonda Stansbury still remains a missing person. If you would like to do your part to help solve these mysteries, please share on social media to help continue the search.